We are stocking CSPower 12 and 24 volt Pure Sign wave Inverter Chargers from 1000-4000 watts. These are for off grid applications that can power up your electrical panel in your RV, Boat, Cottage or even back up power for your household. Run household electric appliances anywhere with Battery World Power Inverters. Powerstar PV Low Frequency Pure Sine Wave Inverter is from 1000 W to 4000 W, DC12V-24V, AC 110V/220V/60Hz, LCD indicators display. 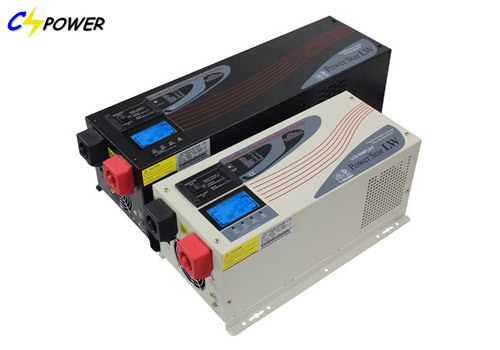 Off grid inverter / with pure copper transformer, peak power three times, with built-in DC Charger 20/90 Amp, Charger current adjustable, UPS Function.Advantages:*LCD digital display show voltage, load and battery info in real time. *Peak power is three times of rated power. *Can work with inductive load such as air conditioner, motor door and so on. *Fast and powerful charger with 35A and 70A. *High power factor 0.9, low power consumption. *Automatically transfer between battery and line modes. *Microprocessor control guarantees high reliability.